Burst thru style medallions that will inspire a cheer from the entire team as well as your fans! 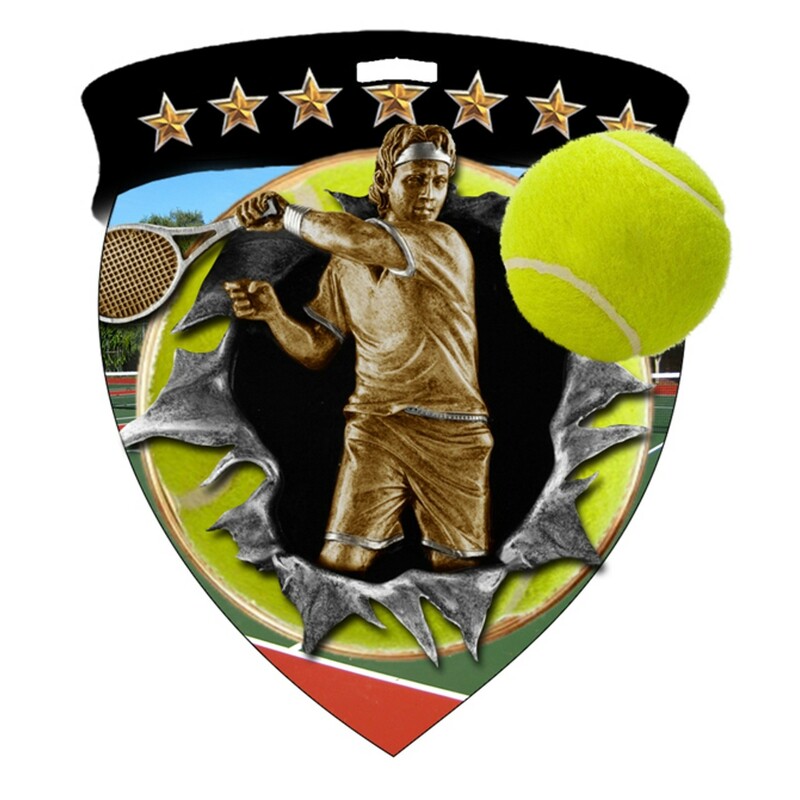 These Vivid Color Tennis Shield Medallions are made of metal and feature a boy or girl tennis player and ball that give the illusion they're bursting to life! These spectacular medallions will work for special recognitions or as team participation awards. 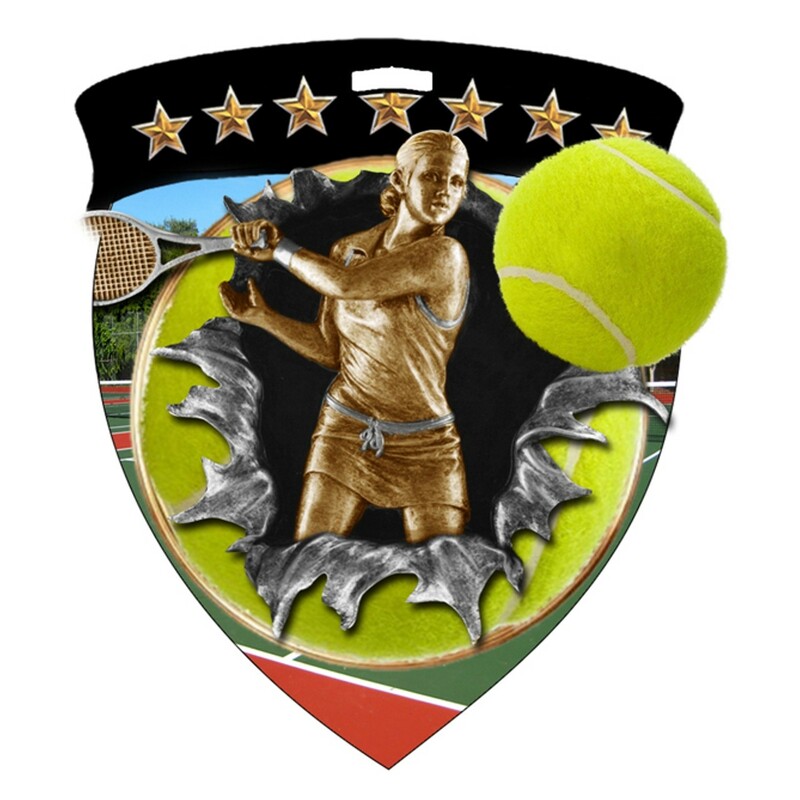 With 4 lines of customized engraving, make sure to add a personal touch to these extraordinary medallions. Awesome tennis-themed d neckdrape is included. Production time for this product is 4 business day(s); expected pickup or shipping date is 04-25-2019.